He looks fierce, doesn’t he? As for the hole in one ear and the chunk out of the other one, perhaps he was used as a fighting dog in the past. Totally illegal, of course, and despicable. 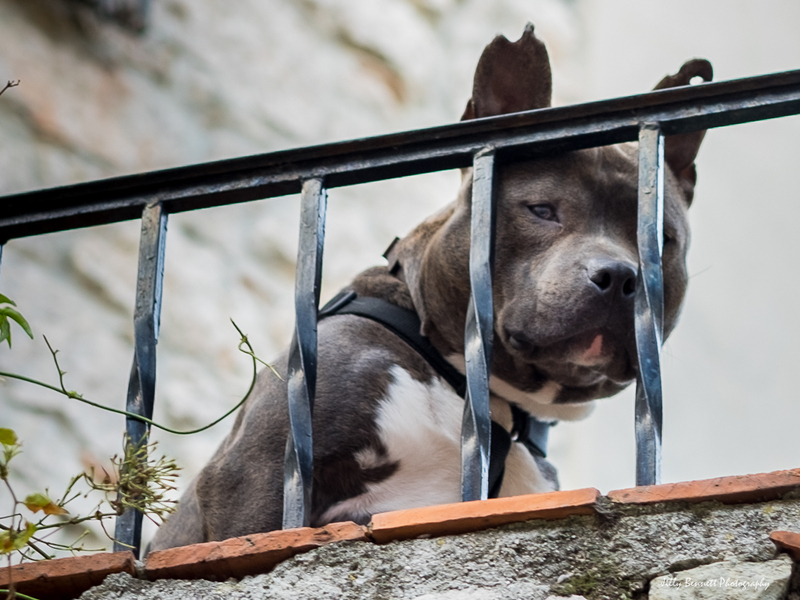 He was peering over a wrought iron fence in Gorbio village.